All dorm rooms are equipped with air-conditioners and each bed are fixed with personal reading light and electrical plug, share bath rooms with hot & cold shower, shampoo and liquid soap. All categories of rooms are entitle for Free Breakfast (Toast, butter, jam, Tea & Coffee), Free towel, Free wifi and internet, living room & TV room, free access to the swimming pool. 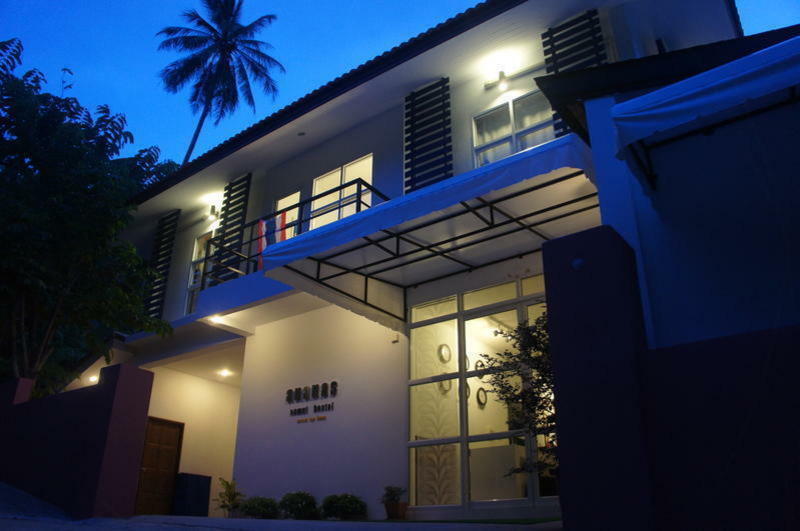 Ananas Samui Hostel is located between Samui Aquarium & Tiger Zoo and Samui Butterfly Garden. When you reach Samui Aquarium & Tiger Zoo, keep going and follow the street. When you see the green wall on your left, please look on your right and prepare to turn right. There will be a small road on your right for you to drive into, please turn right. After you turn right into small road, just keep going straight pass a house with big Jars until you see Ananas Samui Hostel sign on the brick wall on your left hand side.